The T612 was the first system to support the iPhone. Altec Lansing has since introduced many new models with improved features. I would consider several of these newer models before selecting the T612. Sometimes, you need a basic and simple speaker system. The Altec Lansing T612 fits the bill -- and then some. The T612 has great sound and supports the iPod and iPhone. 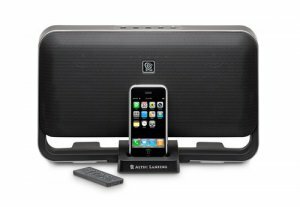 Altec Lansing is known for making stylish speaker systems with great sound quality. And the T612 speaker system is no exception. It supports both iPod and iPhone. This black and silver colored with stylish round corner speaker system also shields wireless interference when receiving calls which is very common in any nonshielded speaker systems. Unlike some speaker systems out there, the T612 has both a treble and a bass button as well as the usual power and volume buttons. There are also five blue lights hidden behind the metal grille that act as current volume indicator. The T612 has an infrared remote that works well from as far as 15 feet away and an auxiliary-in cable so you can play music from your iPod and iPhone as well as from your mp3 or cd player. 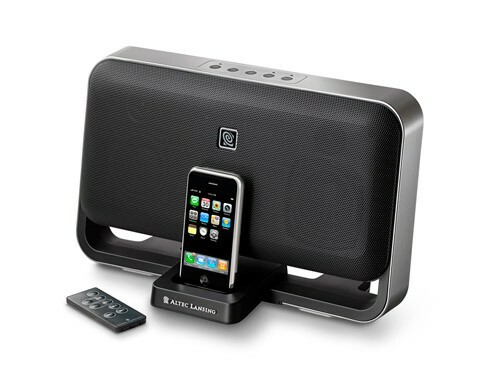 Don’t miss a call and keep the music playing with the Altec Lansing T612. It provides a full range, from deep bass to soaring highs -- and every note in between -- with big, full bodied sound. 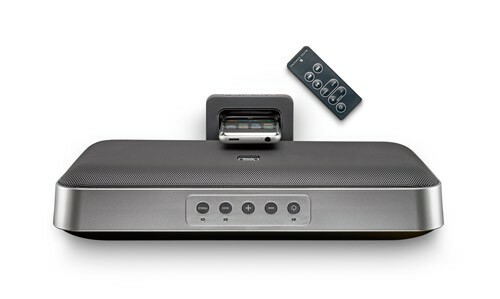 Four specially engineered drivers and two silk dome tweeters keep the music flowing, with enough power to fill a room. Simple, easy to use. I enjoy it. The T612 is a pretty good buy. I like it because it didn't have any surprises. It's pretty basic and simple, which is good. It probably could have come with a radio or maybe some more features like a clock or alarm. But I wasn't really looking for that. I just wanted a dockable speaker system. *note if you have to take a call you have to pick up the phone from the system. But, if you put it back it will resume where it left off. - In order to answer a call you have to remove the iPhone from the system.